SKK Hyper X Blade II Spotted For PHP 3999! 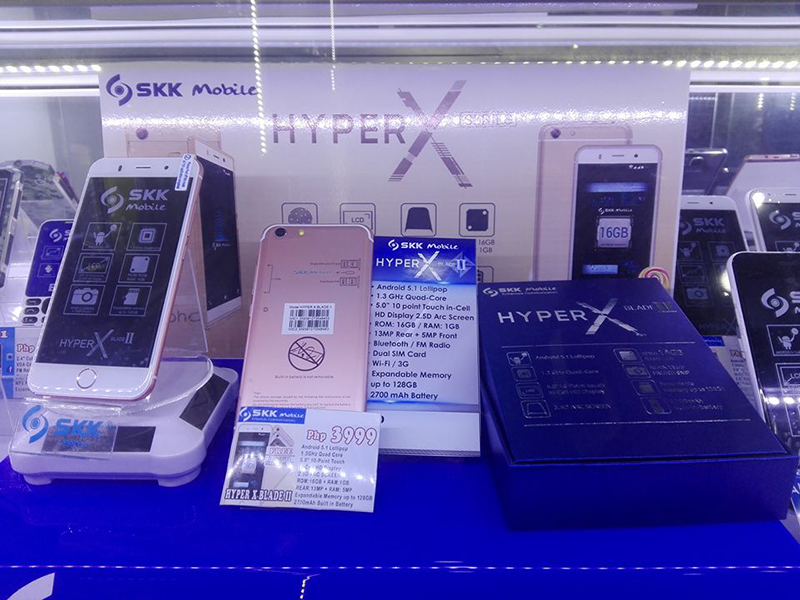 Home / mobile / news / skk / SKK Hyper X Blade II Spotted For PHP 3999! As a follow-up to the success of the Hyper X Blade, SKK Mobile followed it up with the release of the Hyper X Blade II. Based on the image that was given to us by a tipster, it appears that the SKK Hyper X Blade II still comes with the same specs compared with its predecessor except that it has a newer iPhone 7 like antenna band design. It still loads with a 5 inch HD in-cell screen w/ 2.5D curved glass, 1.3 GHz quad core processor, 13 MP main camera, and the ageing Android 5.1 Lollipop OS. Hopefully, it'll have other several surprises inside to prove its version 2 moniker. It retails for PHP 3,999, several hundreds pricier than the original Hyper X Blade. Thanks for the tip Mafed Eimar Infante!